Pecan bowl is a beautiful array of colors and textures. Pecan bowl is a bit over three inches tall and measures about six inches across. 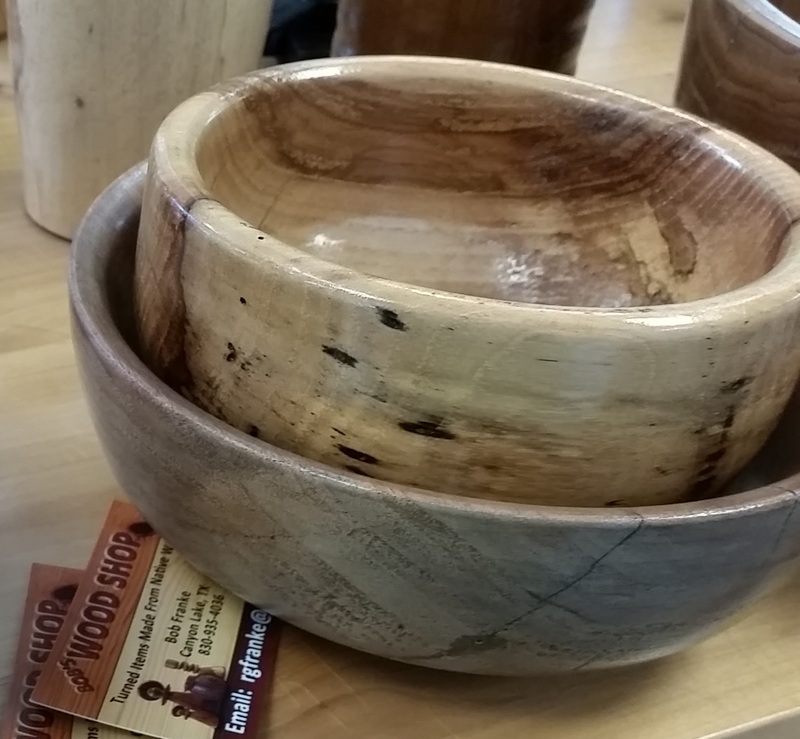 Black walnut bowl is about three inches tall and almost eight inches across.